ASTM B564 / ANSI B16.5 / UNS N08800-N08810-N08811 / DIN 1.4876-1.4958-1.4876-1.4859. Incoloy 800 Flanges, WERKSTOFF NR. 1.4876 Flanges, UNS N08810 Flanges, Incoloy 800H Flanges, Incoloy 800HT Flanges, DIN 1.4859 Flanges, ANSI 16.5 Socket weld flange, ASTM B564 Incoloy 800 Slip on flange, DIN 1.4876 Flanges, UNS N08800 Flanges, WERKSTOFF NR. 1.4958 / 1.4876 Flanges, UNS N08811 Flanges, Incoloy Alloy 800H Flanges Supplier in Mumbai, India. 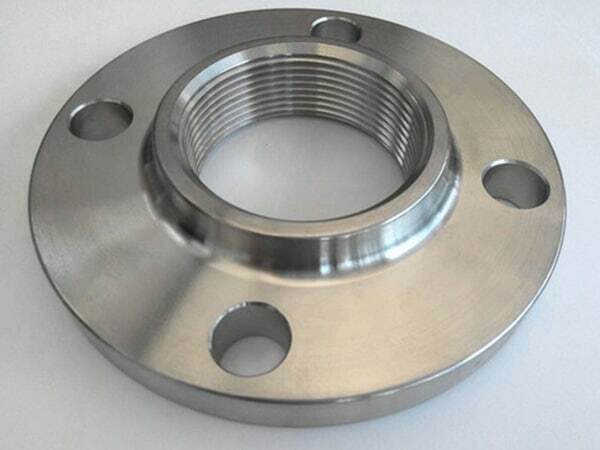 Incoloy 800 Flanges Exporter, Incoloy 800HT Blind flanges, Incoloy 800 Ring type joint flange, Incoloy 800 Plate flange, Incoloy 800 Long weld neck Flange, Incoloy Alloy 800H Screwed flange, Incoloy 800 Tongue and Groove flange, Incoloy 800HT Threaded Flanges, Incoloy 800 SWRF flange, Incoloy Alloy 800H Reducing flange, Corrosion Resistant Incoloy 800 Flanges, Incoloy 800 SORF flange, Incoloy Alloy 800 Spectacle blind flange, Incoloy 800HT Welding neck flange, Incoloy 800 Forged flanges. Jayesh metal is foremost exporter and manufacturer of Incoloy 800 / 800H / 800HT Flanges, supply flanges to national and international clients. 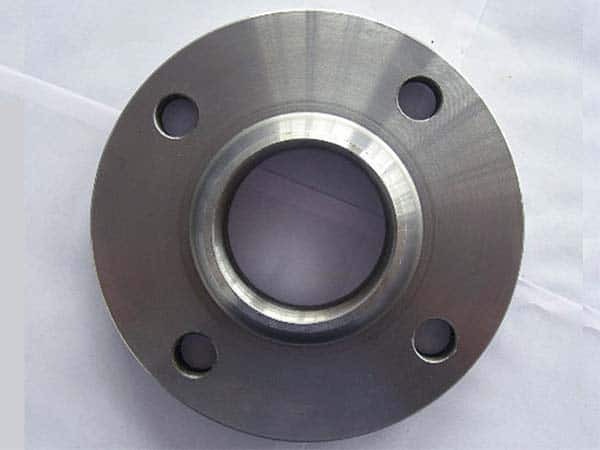 These flanges are often used for in terms of high temperatures. Using of Incoloy flanges results in great strength and service to fittings. ASTM B564/ ASME SB 564 are the standards of Incoloy flanges. 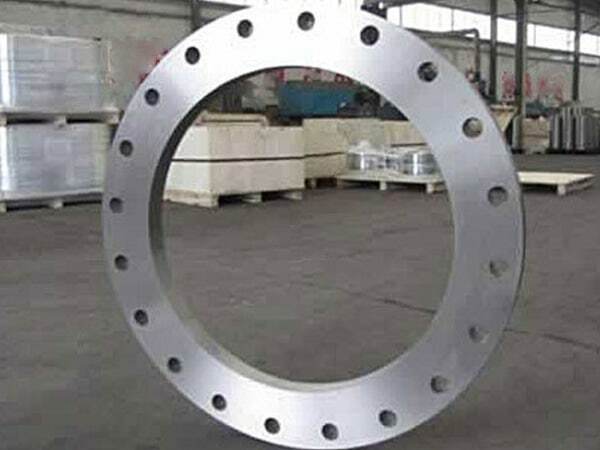 These are available in different shapes like Weld Neck Flanges, Socket Weld Flanges, Slip On Flanges, Screwed Flanges, Long Weld Neck Flanges, Lapped Joint Flanges, Reducing Flanges, Spectacle Blind Flanges, Threaded Flanges, Forged Flanges, Customized flanges & Orifice Flanges, etc. Manufactured in different standard dimension ranges from ½” to 36” or can be customized as per clients. Following are the class and pressure ratings of flanges respectively- 150#, 300#, 600#, 900#, 1500#, 2500#, PN6, PN10, PN16, PN25, PN40, PN64 and DIN PN6, PN10, PN16, PN25, PN40, PN64, PN100, PN160. UNS NO 8800, UNS NO8810, UNS NO8811 are material grades of Incoloy 800 / 800H / 800HT Flanges. Jayesh metal ensures that all products go through with strict quality assurance test before dispatching them to clients. The test includes mechanical, hardness, flattening, flaring test, PMI, IGC, micro and macro tests, afterward flanges inspected by third parties. Incoloy 800 / 800H / 800HT Flanges are pack in the cardboard box or wooden boxes for safer purposes. Manufactures assures none of damage product reach at your doorstep. You can place the order for flanges, your product delivered at you as soon as possible. 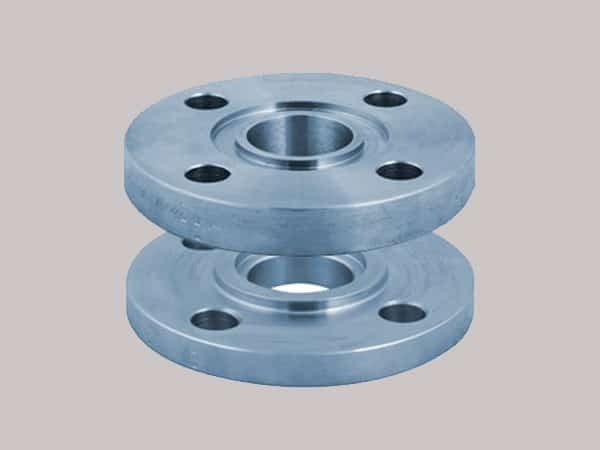 incoloy 800 manufacturer in mumbai, ms 800h flange manufacturer in india, incoloy 800ht exporter in india, incoloy 1.4876 screwed flanges supplier, incoloy 800 flange stockholders in india, incoloy 800 flanges manufacturer in india, incoloy alloy 800 spectacle blind flanges, incoloy alloy 800 pipe flanges, incoloy 800h flange manufacturer india, incoloy sus 800ht weld neck flanges, incoloy 800h flanges manufacturer in mumbai, incoloy 800 loose flanges, 800ht flange manufacturer, incoloy 800 supplier in india, incoloy 800 wrought austenitic flanges, alloy 800 flanges manufacturers, incoloy 800h flanges manufacturing companies in india, incoloy alloy 800ht flanges manufacturer, incoloy alloy flanges price list, incoloy 800h flanges suppliers, coastal flange, incoloy alloy 800h flange price list, incoloy 800 flanges, incoloy 800 price list, incoloy 800 flanges pipe, incoloy 800ht flange astm, incoloy 800 dealer in mumbai. India, France, Greece, Slovakia, South Africa, Zimbabwe, Belarus, Azerbaijan, Indonesia, Venezuela, Czech Republic, United Kingdom, Bhutan, Israel, Chile, Iraq, Thailand, Peru, Turkey, Japan, Netherlands, Afghanistan, Lebanon, Nigeria, Angola, Finland, Gambia, Croatia, Nepal, Kenya, Hong Kong, Poland, Vietnam, Morocco, Ukraine, Germany, Taiwan, Kuwait, Denmark, Iran, Ireland, Spain, Canada, Argentina, Mongolia, Australia, Estonia, Gabon, United Arab Emirates, Romania, Philippines, Macau, Norway, Portugal, Bahrain, Colombia, New Zealand, Yemen, Puerto Rico, Namibia, Lithuania, Algeria, Iran, Kazakhstan, Russia, Belgium, Poland, Sri Lanka, Nigeria, Bangladesh, Oman, Saudi Arabia, Brazil, Italy, Egypt, Switzerland, Sweden, Singapore, Chile, Tibet, Libya, Serbia, Trinidad & Tobago,Tunisia, Mexico, Ghana, Ecuador, United States, Pakistan, Jordan, Qatar, Hungary, Bolivia, South Korea, Austria, Costa Rica, Mexico, China, Bulgaria, Malaysia. Noida, Chandigarh, Doha, Gurgaon, Perth, Chiyoda, Lagos, Ernakulam, Nashik, Riyadh, Jeddah, Baroda, Al Khobar, Gimhae-si, Kuwait City, Nagpur, Ludhiana, Ulsan, Pune, Ahmedabad, Howrah, Montreal, Caracas, Surat, Hanoi, Navi Mumbai, Coimbatore, Jakarta, New Delhi, Bogota, Busan, Kolkata, Cairo, Indore, Al Jubail, Geoje-si, Faridabad, Sharjah, Colombo, Milan, Ranchi, Dubai, Bangkok, Seoul, Houston, Pimpri-Chinchwad, Atyrau, Karachi, Istanbul, Hong Kong, Petaling Jaya, Secunderabad, Tehran, Jamshedpur, Ho Chi Minh City, Ankara, Muscat, Port-of-Spain, London, Lahore, Calgary, Kuala Lumpur, Thane, Abu Dhabi, Dallas, Jaipur, Singapore, New York, Rajkot, Kanpur, Chennai, Rio de Janeiro, Courbevoie, Thiruvananthapuram, Los Angeles, Moscow, Aberdeen, La Victoria, Santiago, Granada, Madrid, Mexico City, Vung Tau, Haryana, Manama, Visakhapatnam, Vadodara, Melbourne, Hyderabad, Toronto, Dammam, Edmonton, Mumbai, Sydney, Bhopal, Ahvaz, Algiers, Brisbane, Bengaluru.